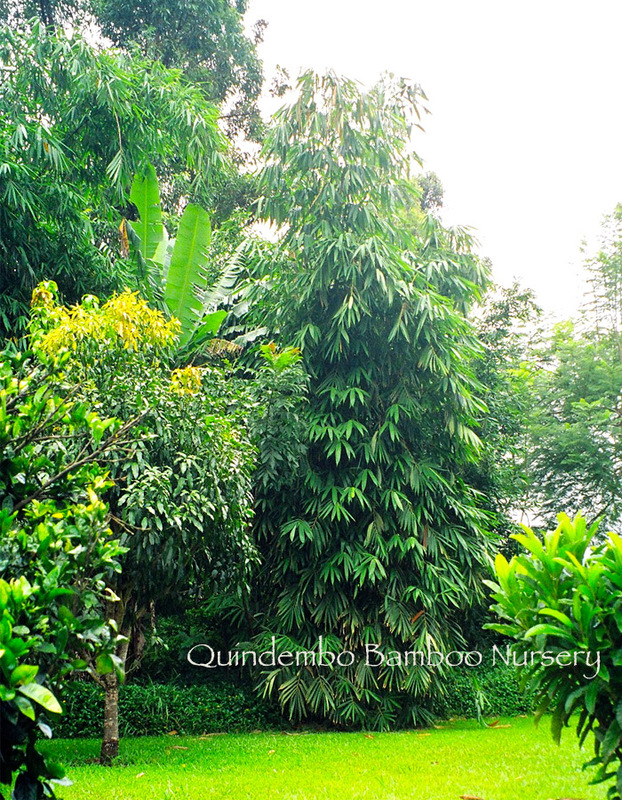 Handsome and quick growing, to about 45-60 feet tall, this multi-use plant is known as “sweet shoot’ in parts of Indonesia. The strong, durable and straight canes ( 4 – 6 inch diameter) are construction grade. 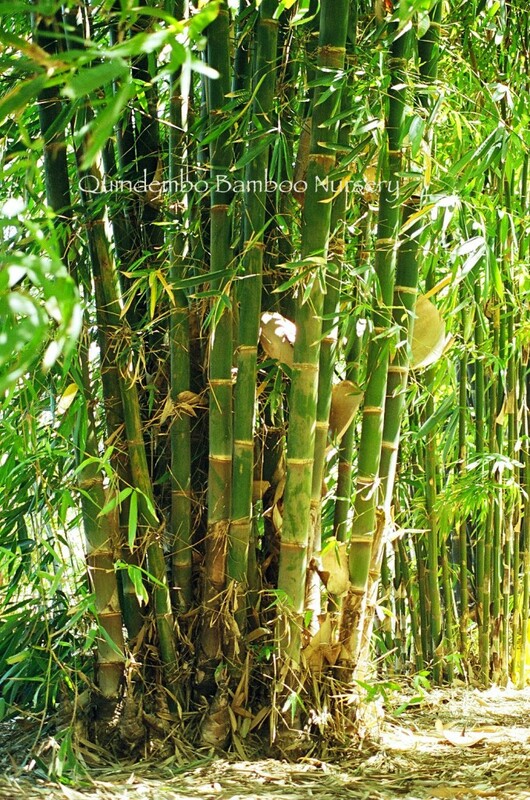 Overall, one of our favorite plants. Can grow well in dry & windy locations with good irrigation. We also have a striped version that is new to us. When we imported it several years ago, the parent plant set a few viable seeds and these are now available.